and commitment to values that promote national unity. This was contained in a press release made available to the media by the Senior Special Assistant to the President on Media & Publicity, Garba Shehu on Tuesday. 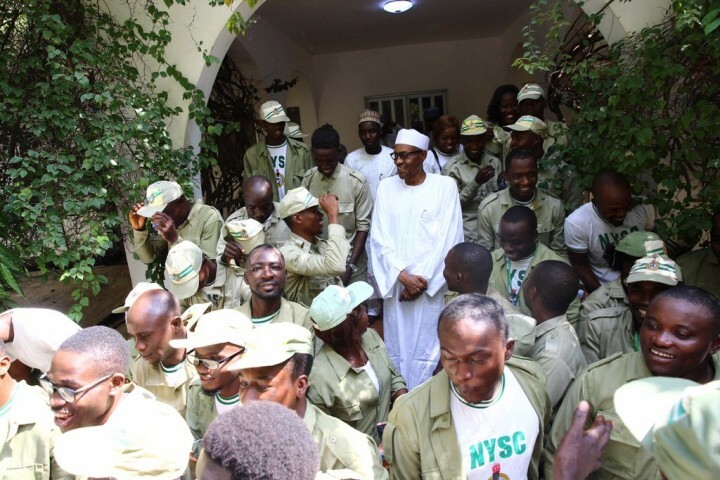 Over 100 National Youth Service Corps (NYSC) members serving in Daura local government area, paid a courtesy visit to the President at his residence in Daura. President Buhari pledged his unalloyed commitment to the unity and prosperity of Nigeria. former President Yakubu Gowon in setting up the scheme in 1973.
unity of this country,’’ the President said. making their stay in Daura memorable.